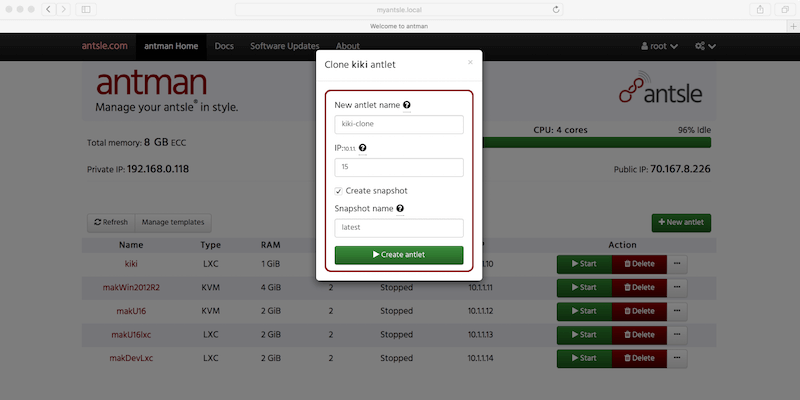 We have introduced a nice feature that enables you to clone an antlet from any snapshot. This is very useful if you want to check the state of your antlet at a certain point in time, without actually modifying your running antlet. 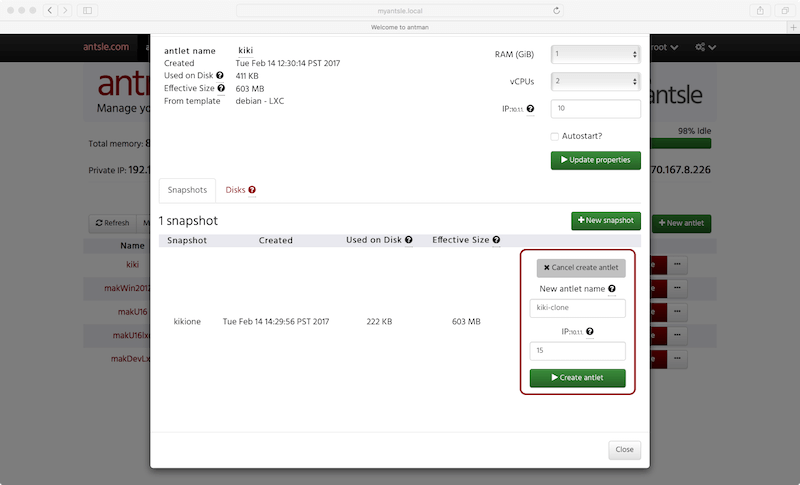 Just select the antlet snapshot you would like clone and give it a name. Play around with your cloned antlet, then keep it or delete it if you don't need it anymore. Now we update only the portion of libvirt's XML that changed, instead of redefining the domain from scratch. So you won't have any conflict if you use tools like virt-manager for instance, or make changes to the domain's XML by hand. We also provided some bug fixes and improved stability of the images import, particularly for Windows images. 3. Point your browser to http://myantsle.local and hit the browser's reload button. Enjoy using the new antman! 5. Point your browser to http://myantsle.local and hit the browser's reload button. Enjoy using the new antman!